Even though dealing with septic patients, the communication of the Gram stain result of positive blood cultures is postponed in most laboratories outside of conventional working hours. There is little evidence from clinics that this issue is being addressed. This study evaluates the potential benefit of an around-the-clock communication. Therefore, the effect of the communication on the antibiotic treatment and the delay of the communication during our non-office hours were measured. Over a three-month period, all blood cultures which were positive for the first time outside the normal working hours were analyzed. 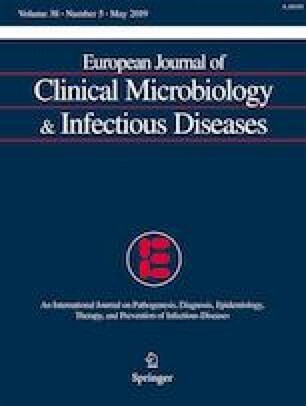 Two standardized telephone calls were used to compare the antibiotic treatment before and after the communication of the Gram stain result. The evaluation of the antibiotic treatment was based on the final testing result. In total, 135 patients were included. The rate of the adequate antibiotic increased by 8 percentage points to 69%. The average delay in the patients adjusted to an adequate treatment was 8:57 h (range 2:16–16:59). This prospective study shows a benefit of the immediate communication. Nevertheless, this benefit seems to be partly the result of suboptimal adherence to the guidelines regarding empirical antibiotic treatment. This prospective study has been registered in the German Clinical Trials Register under the identifier DRKS00014996 (http://www.drks.de/DRKS00014996). No approval required according to the ethic committee of the University of Bonn.